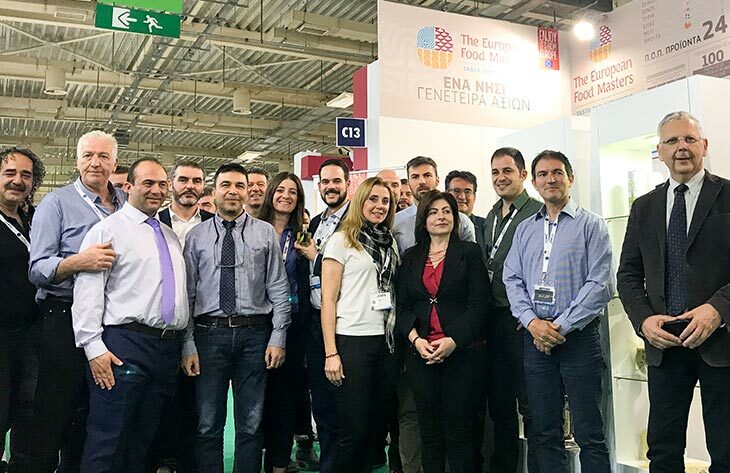 Food Expo – Greece 2018 was held successfully on the 10th, 11th and 12th of March in Athens! This year, 1302 exhibitors participated and 72.000 visitors attended in order to learn more and taste the products of Greece. Our program, the European Food Masters- Taste the Authentic, provided 18 Cretan businesses with the opportunity to join Food Expo and exhibit their PDO, PGI and Organic products! Furthermore, we organised a special event supported by the Executive Chef Ektoras Ioannou, who cooked traditional cretan dishes for the visitors. Once again, thank you all for your presence and your intention to meet us and TASTE THE AUTHENTIC Cretan products! Boost our island, support Crete!